The Greek Government has apparently moved closer to agreeing a rescue deal which will provide it with a 130 billion euro bailout. But experts believe the new loan is not a cure. ­Greece has already agreed to dismiss 15,000 public-sector workers by the end of the year, meeting one of the conditions laid down by the troika of international lenders — the IMF, the EU and European Central Bank. But political party leaders have yet to agree on a 20% reduction in the minimum wage and 35% cut in pensions to get the necessary loan. The European Central Bank has also agreed to exchange Greek bonds it bought last year for bonds of the European Financial Stability Facility at a price below face value. The ECB won't loose on the transaction, but will contribute to the Greece rescue mission. 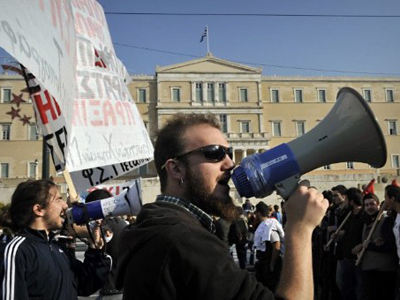 On Tuesday, Greek trade unions carried out a 24 hour strike against the proposed wage cuts. Politicians express solidarity, insisting further cuts would lead to deeper recession. “The regulators demand measures, that would lead the country to much more deeper and disastrous recession”, says opposition leader Antonis Samaras. If the party leaders don’t reach an agreement, the Greece’s default seems inevitable as the country has to repay 14.5bln euro in March. 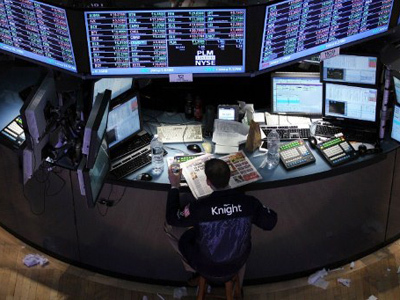 But some experts say the default would be the only way out of the expanding debt crisis. “They are only thinking in terms of getting another loan. But the problem is exactly that. We are already two years into a vicious circle of increasing debt. Both the government and European Union use default as a blackmail, but I think we should do exactly this. 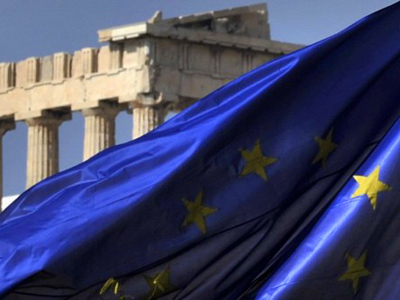 It’s high time for Greece to default on its own terms”, Panagiotis Sotiris from the University of the Aegean told RT. He went on to say: “I don’t think in the end we will avoid some kind of default. The only question is which kind of default? If it is a creditor-led default, which would mean further social devastation or is it going to be a necessary act of national political pride, which says: “We should immediately stop paying that debt and start reconstruction in this country”. 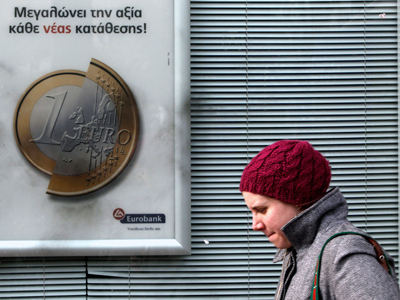 But analysts suppose the Greek default would be a heavy hit for European Union. “Formerly default was one of the options, but now as so much liquidity has been injected into Greece, default will be an utter defeat for the European united financial policy," says Aleksey Puhaev from Investcafe. “France and Germany will try their best to deprive Greece of its budget management to avoid the situation, when major creditors depend on a small unlucky borrower”, he added. 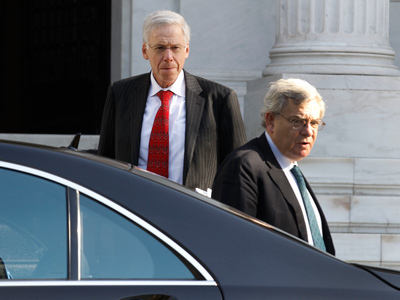 Meanwhile the creditors are starting to lose patience and suspect the Greeks of intentionally delaying the agreement. “I can’t understand why we should wait few more days. Time is running out”, German Chancellor Angela Merkel stressed.